SignatureCare Emergency Center’s 24-hour emergency room in Copperfield, Houston TX is now open. 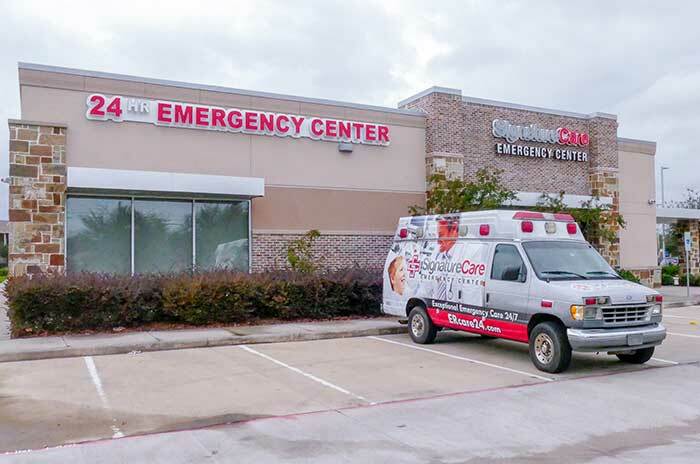 The emergency room in Copperfield, Northwest Harris County, has little or no wait time and our ER trained staff will ensure you are in and out our doors quickly. Our new private treatment rooms is as comfortable as possible for your emergency service and we have specialized pediatric rooms for children and infants. This ensures you and your loved ones will be comfortable even as you get treatment in our 24-hour ER. Our emergency room equipment including CT scanners, x-rays, and ultrasounds is state-of-the-art. We treat most trauma, injury, cardiology, and OB-GYN issues. The Copperfield emergency room serves the Katy Independent School District and areas around the 77084 zip code. Our emergency rooms offer personalized medical care and our board-certified physicians are always available, and on-site. You never have to wait for a doctor to arrive. You can also apply for available emergency room careers here and our managers will contact you as soon as possible closer to opening.